All inspection equipment needs to be checked regularly, whatever brand it is. Testing a detector is easy and quick with the aid of the right test samples. 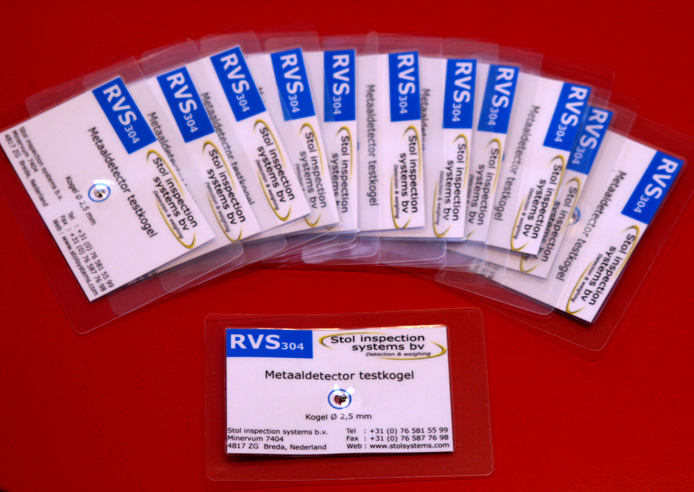 We have test sample stypes available such as test cards and test sticks. Testing a metal detector is an essential part of a quality management system including HACCP, ISO 9000, GMP or guidelines of mayor retail organisations. We are happy to advice how often and how to perform a reliable test. This depends on many factors such as kind of production line, product, type of detector, etc. We are here to help you set up the best possible quality assurance system. 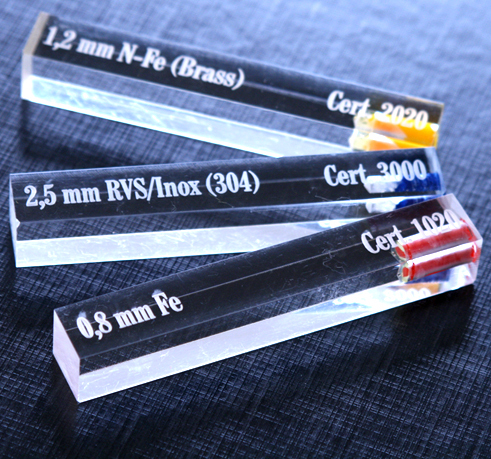 These transparent test sticks are new in our product offering. 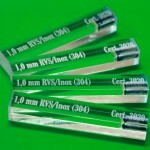 The size of the sticks are square 15 mm and a length of appr. 9 CM. The metal sphere is visable inside the stick as we used a very clear, FDA approved, material. The kind of metal and sphere size that is inside the stick is engraved with laser so that it will be easily readable. There is a colour coding as well for quick recognition. Red for Ferrous, yelow for Non-Ferrous and Blue for Stainless Steel. The maximum diameter of the sphere inside the stick is 10 mm. These test cards are being used by most QA staff. The cards have approximately identical dimensions as a regular credit card. Same as the test sticks they are available in three different materials and various sphere sizes with a maximum diameter of 3,0 mm. 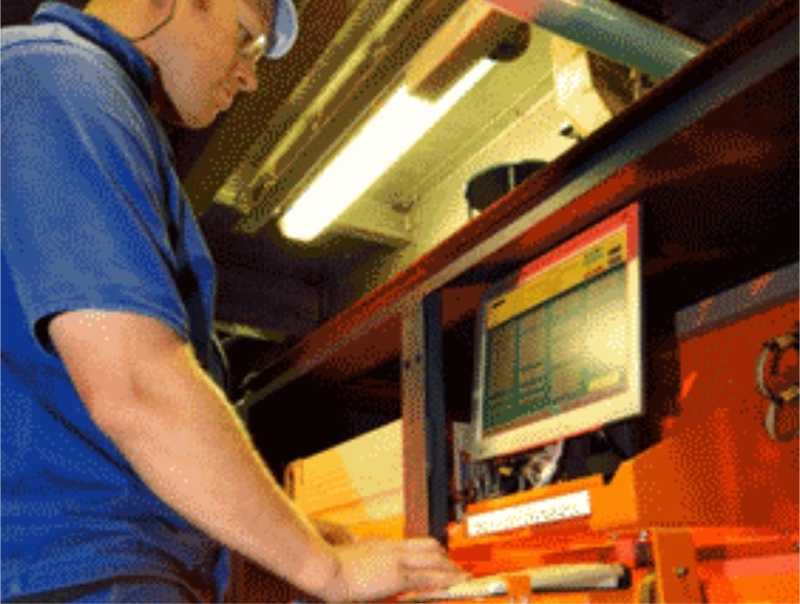 All test samples that Stol Inspection Systems supply are conform high quality standards and are made with great care. All types are available in different sphere materials such as Ferrous, Non-Ferrous en Stainless Steel (Inox) with a wide range of diameters. 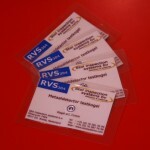 We will be happy to inform you which type of test sample is most suitable for your individual situation. On request we will send you a comprehensive price list in which you can find all types with available sphere diameters. 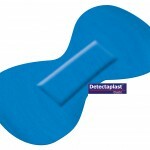 Bestel direct je producten in onze webshop!